This Star Wars The Last Jedi BB-8 tote bag is available on Amazon. 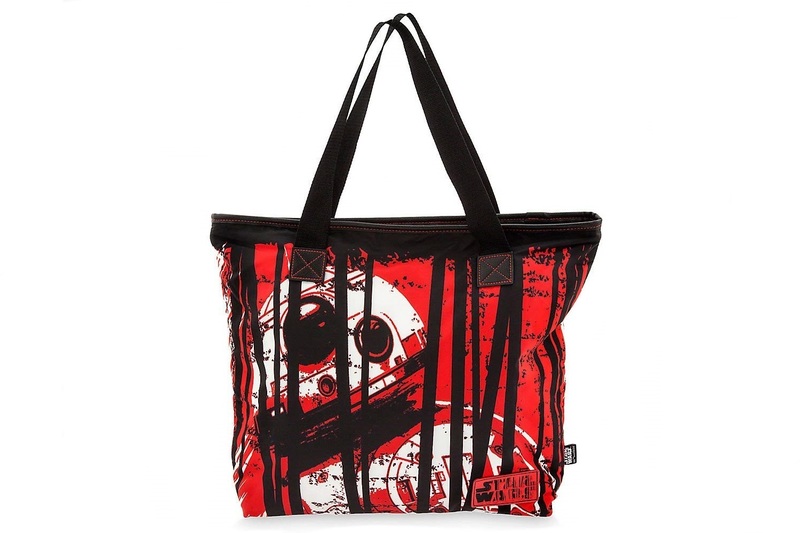 The Disney Store item features screen print artwork of BB-8, in a vibrant red, white and black design. The tote bag has a top zipper closure, and black strap carry handles. This spacious and sturdy tote can handle transporting your everyday cargo as you travel to galaxies near and far. 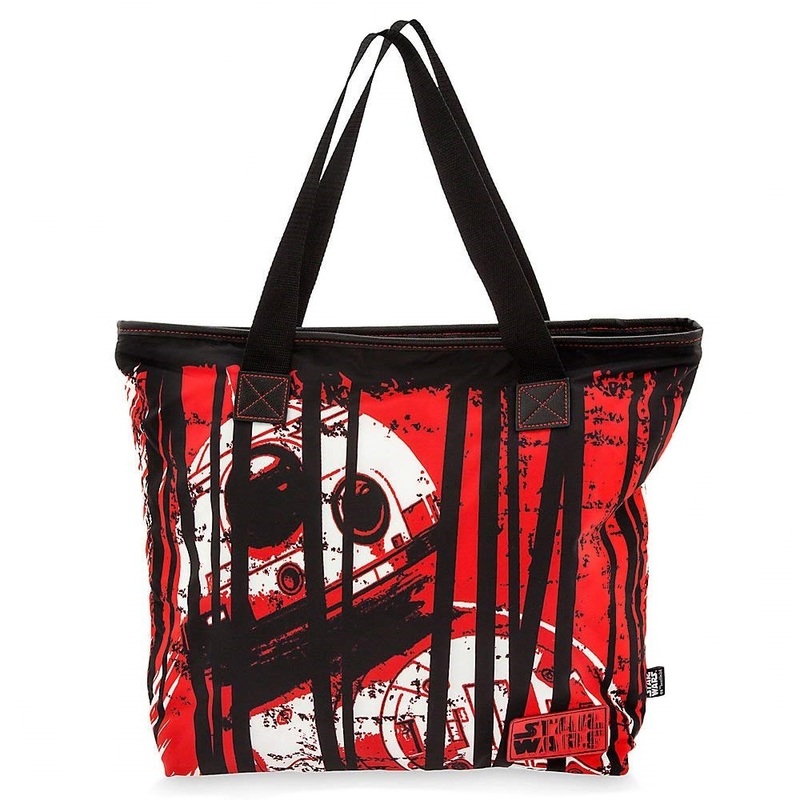 Inspired by Star Wars: The Last Jedi, this roomy tote features striped BB-8 screen art. The tote bag is priced at US$15.07 to US$29.47 each – shipping rates/polices vary by Amazon seller (overseas customers can order via a mail forwarding service). Photos sourced from and belong to Amazon.